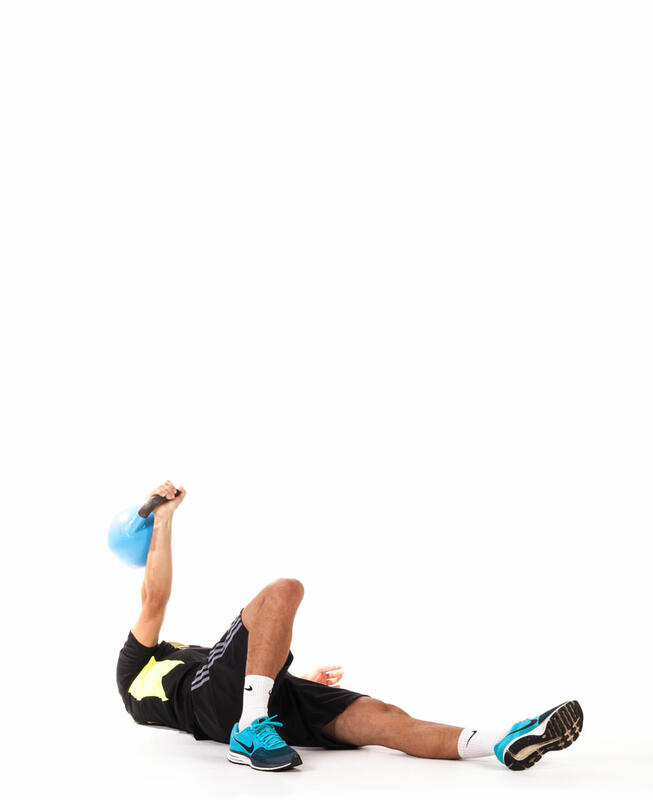 Take 20 seconds pauses between steps. 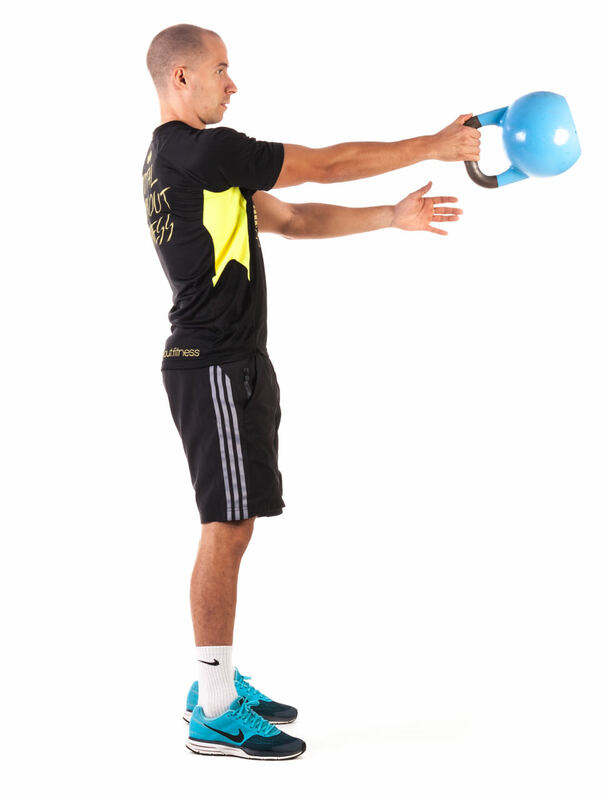 Swing the kettlebell and clean it to your shoulder by extending through the legs and hips as you raise the kettlebell towards your shoulder. 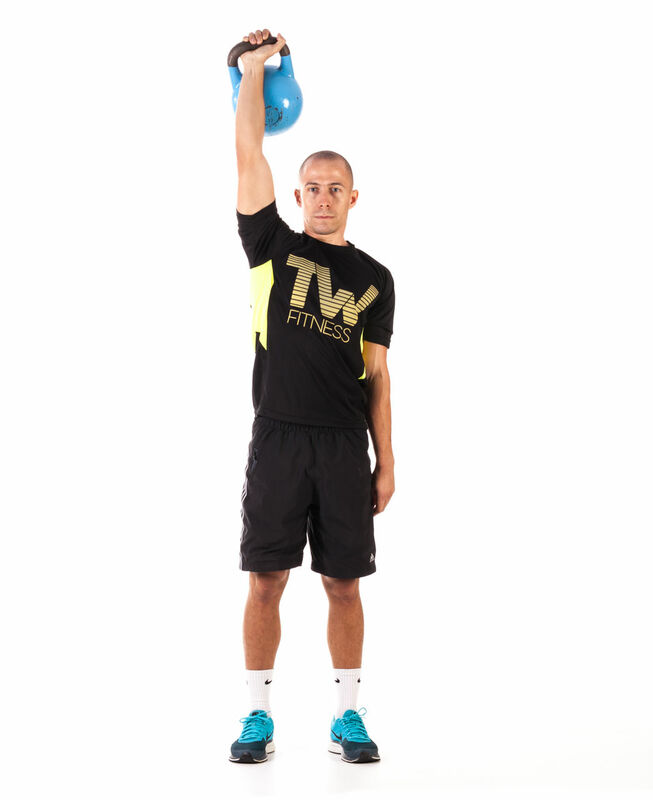 The wrist should rotate as you do so. 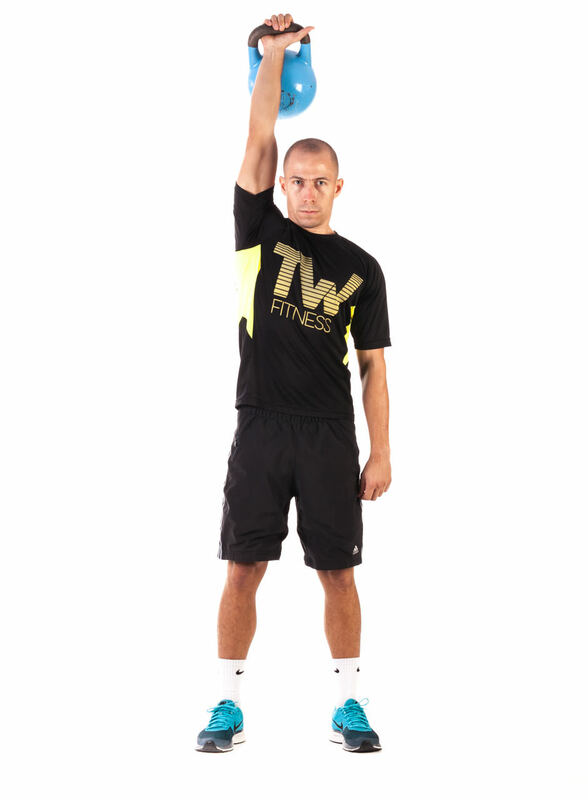 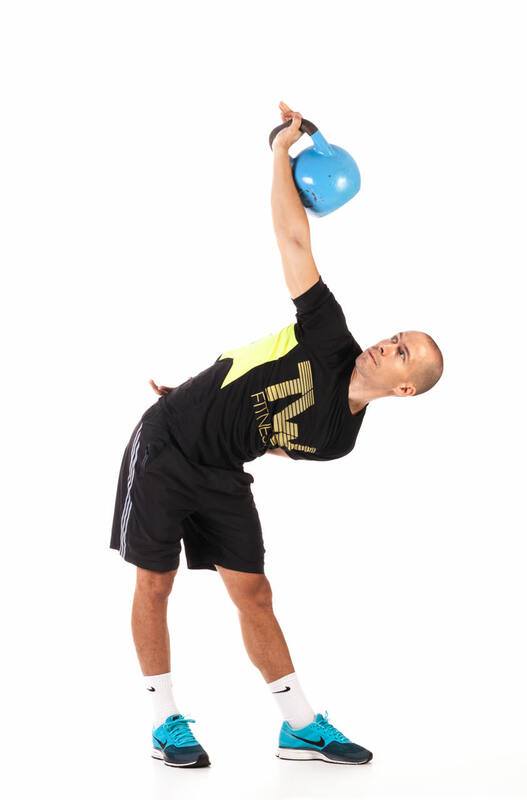 Lie on your back on the floor and press a kettlebell to the top position by extending the elbow. 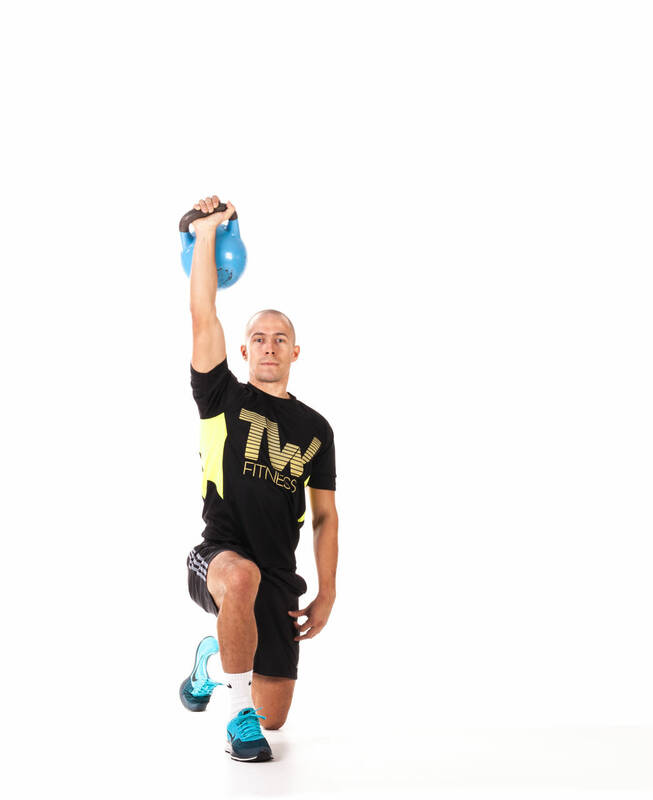 Bend the knee on the same side as the kettlebell. 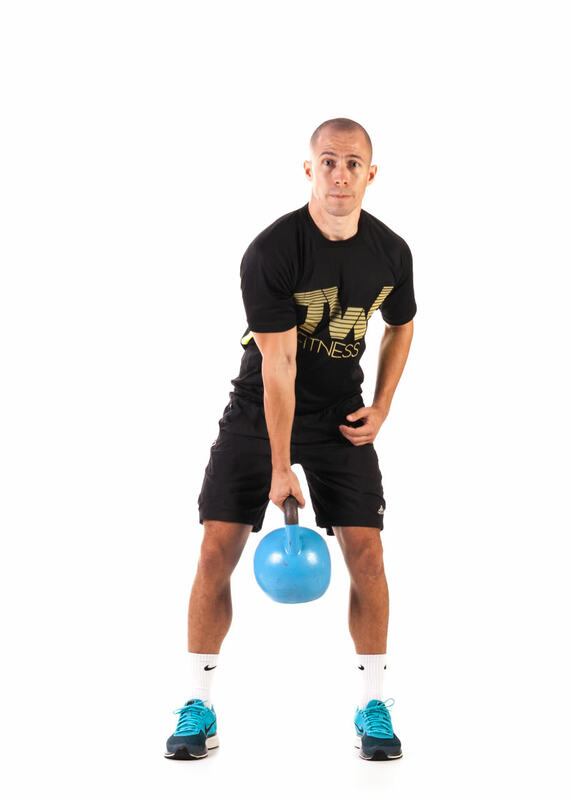 Keeping the kettlebell locked out at all times, pivot to the opposite side and use your non-working arm to assist you in driving forward to the lunge position. 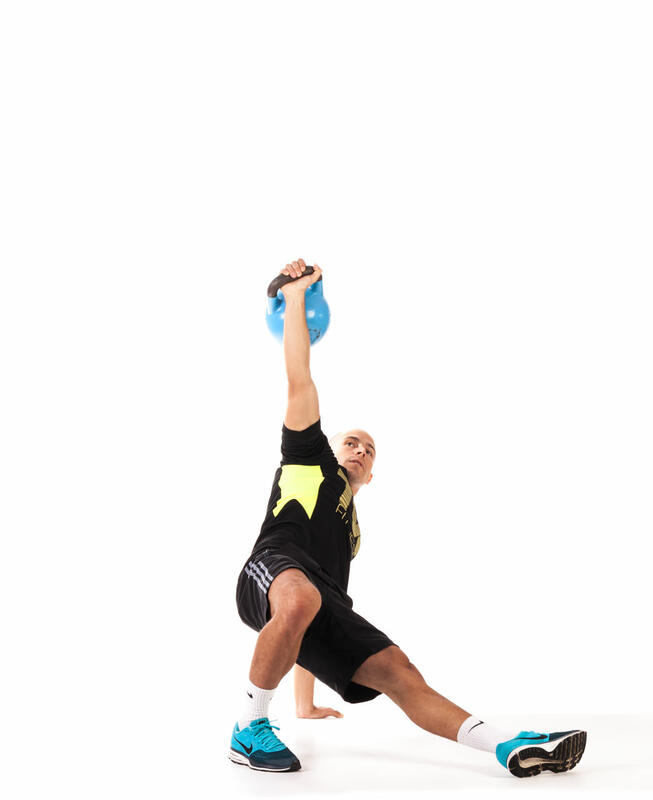 Using your free hand, push yourself to a seated position, then progressing to one knee. 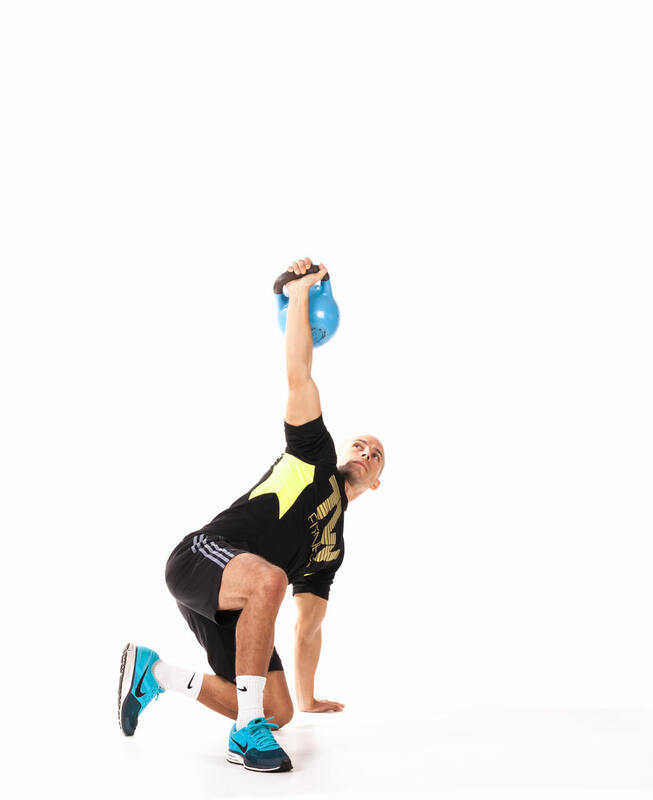 While looking up at the kettlebell, slowly stand up. 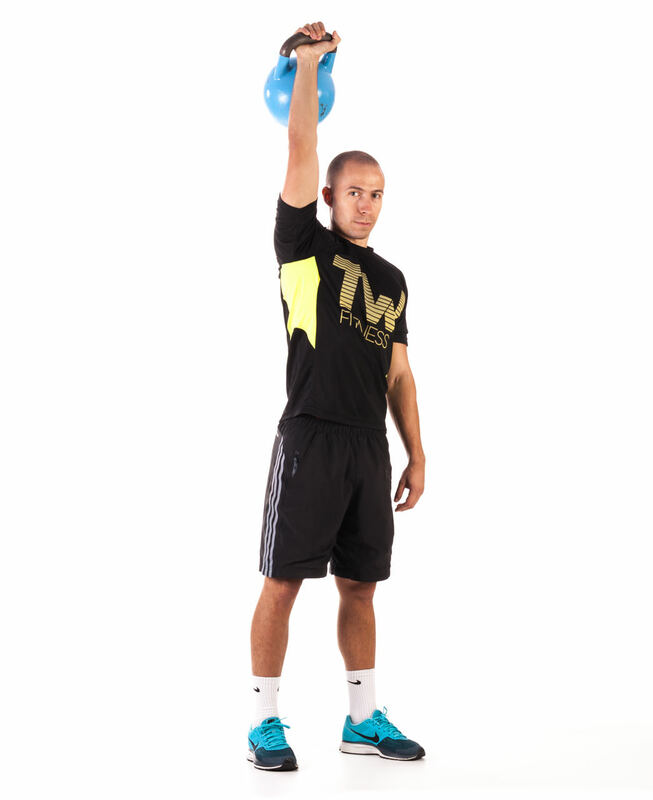 Reverse the motion back to the starting position and repeat the exercise according to the training plan.